Russia is still an exotic experience even for the well-traveled cruiser. Since a couple of years back, new and – mostly – refurbished ships have entered service at a swift pace on the Volga, Svir and Neva rivers. River cruise vessels operate in both directions, meaning that you could either start your cruise in Moscow and disembark in St. Petersburg, or get on the ship in St. Petersburg and disembark in Moscow. Along the way, you will travel on the Volga, Svir and Neva rivers and cross four lakes (Lake Rybinsk, the White Lake, Lake Onega, and Lake Ladoga) as you are immersed in Russian language and culture. Most itineraries include Uglich, where in 1591 Ivan the Terrible’s son was murdered. The Church of St. Dmitry on the Blood now stands on the place where he was found. Yaroslavi also is typically on Russian river cruise itineraries. Considered one of Russia’s most beautiful cities, this is where you will find the richly decorated Church of Elijah the Prophet. After crossing Lake Rybinsk (traveling from Moscow), the village of Goritzy awaits. The renowned Kirillo-Belozersky Monastery is the main point of interest. Cross Europe’s second largest lake, Lake Onega, to visit the island village of Kizhi. The town features an open-air museum of architecture that has been proclaimed a UNESCO World Heritage. The Transfiguration Church was built in 1714 without the use of one single nail. Next is the scenic Svir River, leading from Lake Onega to Lake Ladoga (Europe’s largest lake). On the way, stop in Mandrogy, a town where the main attraction is the vodka museum. After crossing Lake Ladoga and traveling along the Neva River, river cruisers arrive in St. Petersburg. A city of parks, palaces and museums, St. Petersburg is a destination worthy of a few days’ visit. For a true immersion in Russian culture and language, some river operators also offer cruises on the Dnieper. Spanning 1,420 miles, the river is Europe’s fourth longest. On its way from Russia (south-west of Moscow) to the Black Sea, the Dnieper flows through Belarus and Ukraine. 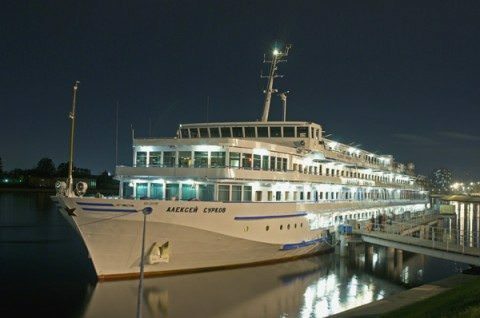 Cruises on the Dnieper are not as well established as on the Volga. In fact, only one of the more well-known river cruise operators currently offers itineraries. Viking River Cruises offers a twelve-day cruise from Odessa to Kiev (or vice versa), taking in some of the best-known cities and destinations in the Ukraine. In addition to the two destinations at the beginning and end of the cruise, the Viking Lomonosov calls at Sevastopol, Yalta, Kherson and Dnepropetrovsk. Can you comment on the river levels of the Neva, Svir and Volga Rivers? 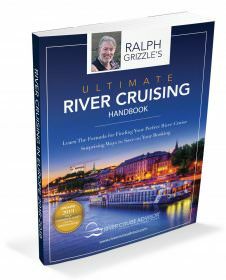 In the past, have low water levels on any of these rivers affected river cruising? 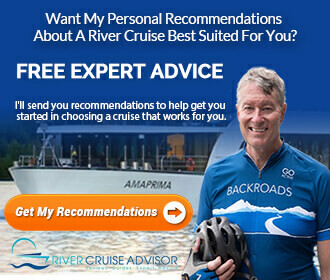 Can you please do a review/compare/contrast of the various companies that do Russian River Cruises like you do with the other European Rivers? Also, do any of the Companies serving Russia /Moscow have docks close to the cities – or do they all have docks where you must be bussed/transported into the cities to activities?